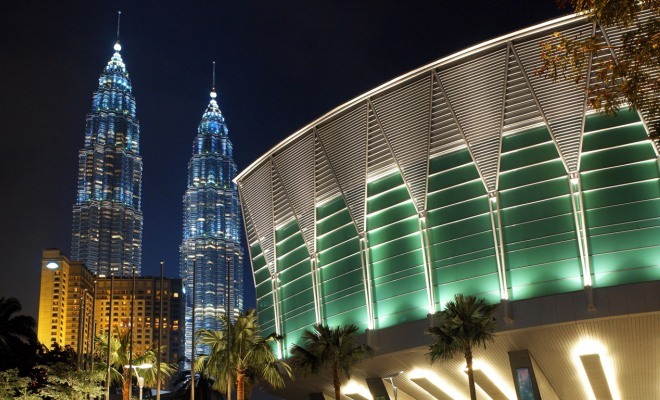 The Kuala Lumpur convention centre, located at the city centre near to Petronas Twin Towers is the perfect place for meetings, annual gatherings and exhibitions. This location has been made the venue many times for many exhibitions especially the ones for further education, tourism and financial matters. If you are in the city to scout the education scene for your children, this convention centre is the place to check into as they frequently hold the venue for education fairs and talks. Among the many events that have been hosted here at this prestigious venue is education fairs, musicals, art exhibitions, ministerial meetings, political summits and dinner banquets. Here’s a few reasons why the convention centre is a perfect place you can trust to plan a great event for you. The convention centre has won countless awards that show that it is one of the many great places in the city to host an event. If you are looking for a trusted brand to be the venue of your important event that may determine the outcome of your next appraisal, you certainly can count on the centre to pull off a great night. It was voted for Brand Excellence in product branding in 2008. The convention centre was also named Best Convention Centre in Asia in the year 2009. Make your way to the convention centre on the Kelana Jaya line. You should alight at the KLCC LRT station. The centre is located along Jalan Pinang above the popular Aquaria KLCC is conveniently accessible, especially so for corporate members of society who may need to sleep over. The Impiana KLCC Hotel, The Shangri-La, and the Mandarin Oriental are just a few big hoteliers in close vicinity of the convention centre allowing for more convenience for foreigners, corporate members and tourist who do have to make it to the convention centre for an event or exhibition. The area is flanked with many hotels. Arriving at the main entrance of the grand convention centre shows that this place is the right place to hold your wedding banquet or to celebrate an anniversary or company dinner. The convention centre is set against a beautiful landscape of the city and its architecture brings out the prestigious of the venue that you have chosen. Among the many facilities feature in the convention centre here are grand ballrooms, exhibition centres, fully equipped conference halls, banquet halls, plenary halls and theaters. Freight lifts are also available if you may need them. Malaysia is one destination where food is a must if people are to come together. The convention centre is also home to many local delights from all ethnics in Malaysia and even to the more continental cuisine. Parking is also made easy at the convention centre. If you are driving here, you could choose either from the west or east car parks that have many parking bays available to make parking a breeze. Do remember that the car parks here are auto pay car parks. So, if you are put in charge of planning an event, you now know that the Kuala Lumpur Convention Centre is a safe choice you could consider.